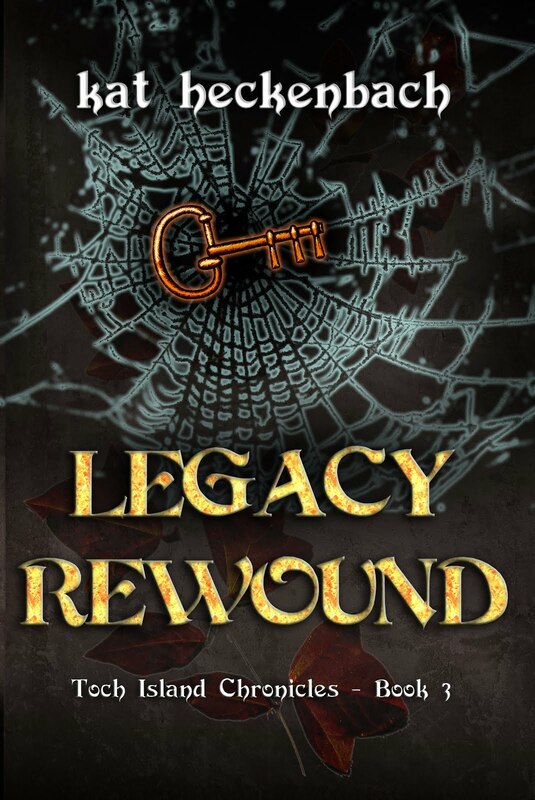 Last week I was tagged by Jill Domschot (author of the literary fantasy novel, Anna and the Dragon) to do this Writing Process Blog Hop. I actually kinda volunteered to be tagged, and yet I completely dropped the ball on getting the post ready on time. Starting back homeschooling full-force and preparing for a speaking engagement pretty much took all my free time last week and weekend. Well, except for the several hours I spent writing on Saturday thanks to my wonderful husband getting the Beasties out of the house. So yeah, quiet house and Work in Progress won over blog post. Deal. Anyway, now to the post, which I've finally written :). 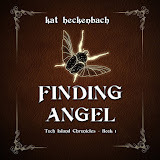 The first is, of course, Book 3 of the Toch Island Chronicles (that's my YA fantasy series that includes Finding Angel and Seeking Unseen if you are new to my blog). The second is a prequel, sorta, for the series. It's the story of the mystery villain in Finding Angel and how he became a baddie. If you've read Finding Angel, you know why I'm not saying any more than that. If you haven't, well, sorry sweetie, but spoilers. Project three, sticking with YA, is a ghost story. A young girl, Amelia, is staying in a small town with her father, a land developer with some big plans. The town locals are...scared. They don't like what Amelia's dad is doing. Mainly because they don't want to tick off the ghost that supposedly haunts the bridge on the edge of town. Simone found out at the age of 19 that she was half angel. And of course he had to be the one who told her—the demon, Wraith. The only one who was ever truthful enough with her to admit his words were mostly lies. She trusted him when he told her about her mother, the angel, who had selfishly given up Simone to return to Heaven. 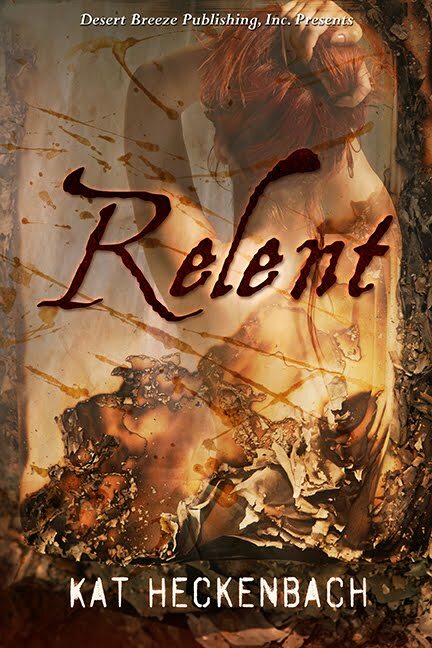 She trusted him when he advised her to give up her own daughter out of selflessness—“They will grow old and die while you remain young.” And after years of searching for her daughter, she trusted him again when he claimed to have found her. Now the balance between angel and human in her has shifted. 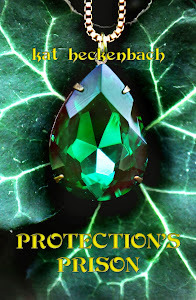 Can she trust Wraith one more time to lead her to the salvation he has been keeping from her for years? Hm. For my Toch Island Chronicles series I'd say it's because my magic is very science-based, and my novels are in that spot right on the edge of YA (young adult) and middle grade. Most YA out there these days is paranormal fiction. Mine is more about the fantasy and magic. The books, at least the two so far, are also mysteries. My ghost story isn't close enough to being finished for me to really know how it differs from others. Again, though, it's right on that edge between middle grade and YA. Again, more mystery. And all I can really say other than that is, I've read a lot--a lot-- of YA and middle grade books and haven't come across one like this one. The fourth project is different because most books in this genre--New Adult, paranormal--are completely romance-based. And while this one is, as much as I hate to admit it, a romance, that's not the heart of the story. At all. I really don't know how to explain the difference. Let's just say, I'm writing it the way I, a non-romance reader, would want the story told. Because it is what I read. What I have always read. Books about ordinary (but usually a little nerdy) kids who discover they are magic. Books about other worlds. Magical creatures. Mysteries. Scary stories. Books that struggle with dark themes. Those are what draw me to reading, so they are naturally what I write. That question assumes that it does work! :P Seriously, I have no real process. Every book I've written so far has been different. With Finding Angel, I spent nearly every waking hour writing, or plotting, typing, typing, typing, over the course of only three months. I wrote the scenes way out of order. I went through so many layers of editing for many, many months years after that. . 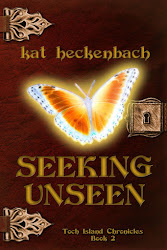 But Seeking Unseen came out mostly in order, with the writing coming in slow bits and pieces, then the editing all slammed in at the end. 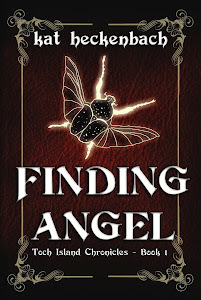 I'd learned so much from writing Finding Angel and all the short stories I'd written, so the initial draft, while it took longer, came out much cleaner. The rest of the projects are coming out differently still. Working on them essentially simultaneously means going back and forth. This one for a while (so many pages or words until I run out of motivation), then that one for a while...all squeezing it into an already busy schedule of homeschooling and, well, just being a wife and mom. Marketing has to be added to the mix, too, and teaching at conferences and such. I don't feel like I have a "process" these days. More like, take what I can get when I can get it--whether that be time to write or brainstorming for ideas--and take it in whatever order I get it. OK, soooo......there it is. I've finally kept my promise. Only two days late--not so bad, really. 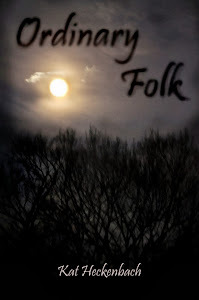 However, because I was such a slacker I didn't find anyone to tag to keep the blog hop going. So, if you're a writer, and want to participate, feel free. Just make sure you list me and my website in the intro! Wow, you have a lot going. I'll be interested to see what you do with the ghost story and the angel story. I don't usually read angel stories, but if you give it a different flair, then I might like it. :) Didn't you just love the writing process question? A writer with a process!! What is that?! Jill, it sounds like way more than it is, writing-wise. Because right now it is going slooooowwwwwllllyyy. Four projects in the works? Yes. Four projects that *have been in the works and will continue to be for quite some time*? Again, yes :P.
Ah, so many projects, so little time! I think a lot of us are in that boat. I enjoyed reading about your writing process, though! You are one very busy writer, mom, teacher and wife! I look forward to reading your next published works. Thanks, Kessie and Cheryl :).